My experience in the past twenty years has included work with couples, families, individuals, and groups. Working in a residential treatment facility for adolescents impacted me tremendously by highlighting the importance of family and connections in well-being and treatment. This led me to seek post-Masters training in marriage and family therapy. Working at the local social services level, I gained a wide range of experience with a variety of couples, families and individuals. I was able to witness change occurring in even the most challenging situations. 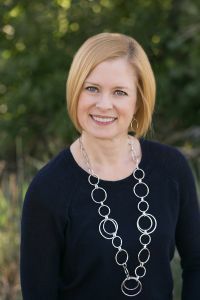 In my practice, I have gravitated toward specializing in work with couples because I am passionate about the connection and commitments we make in intimate relationships. I was drawn to Emotionally Focused Therapy because it brings the research work I did with small children and their parents as an undergraduate in attachment to work with adults and couples. I am a licensed marriage and family therapist and licensed clinical social worker in Colorado. I am also a Certified Emotionally Focused Therapist and Supervisor. I am a Clinical Fellow and Approved Supervisor with the American Association for Marriage and Family Therapy. I serve on the faculty of Denver Family Institute, a post-graduate training program for marriage and family therapists, where I teach a course on EFT and provide group and individual supervision. Having lived in Colorado now for over 20 years, it is home for me since I’ve lived here longer than anywhere else. I love the proximity to the mountains and the cultural offerings Denver has to offer. I have a love for learning and I actively pursue further training and learning opportunities. In my free time, I enjoy spending time with my husband and two sons, taking ballet classes and enjoying all Colorado has to offer.